Our company caters to a wide market for an impeccable array of Automotive Fixtures. Clients can avail a wide gamut of Relation Gauges, Assembly Fixtures, Welding Fixtures and Holding Fixtures. 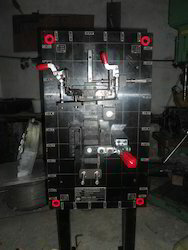 Besides, we also offer Cooling Fixtures, Sheet Metal Panel Checking Fixture and Plastic Component Checking Fixtures. These are widely appreciated for their salient features like durability, resistance to corrosion & abrasion, dimensional accuracy, excellent grip and reliability. We are offering a wide range of Assembly Fixture. Fixture is used for accurate positioning, locating and assembly of windshield glass rain sensor ring. Looking for Automotive Fixtures ?